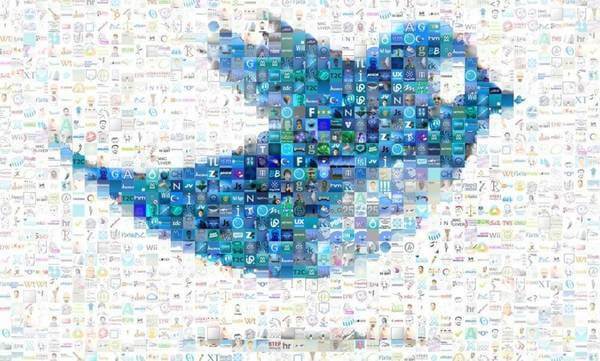 Twitter is the 3rd most popular social channel with 320 million monthly active users who generate over 340 million tweets daily. Behind each Twitter account, there is a real person, though sometimes an account may be deprived of human personality. Thus, we observe accounts led by cats (e.g. 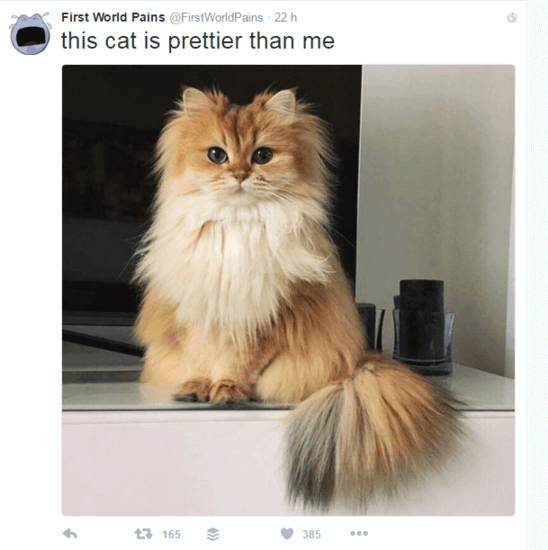 Tard the Grumpy Cat), hens, cartoon characters, etc. 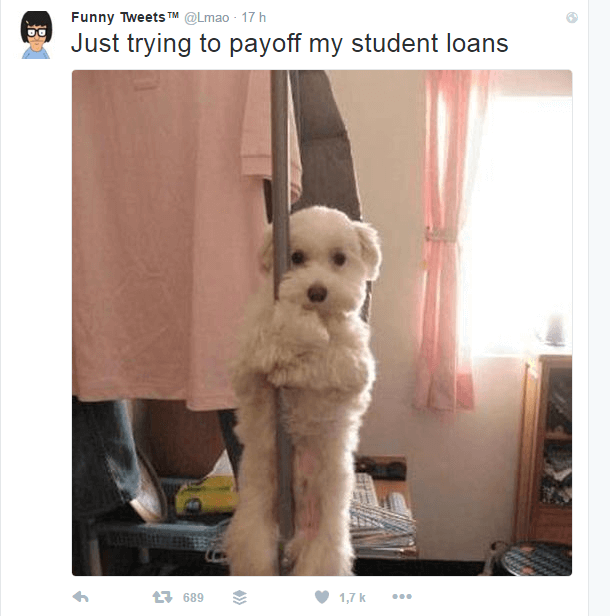 We suggest having a look at the funniest Twitter accounts to follow this year. @Lmao‘s posts are full of LOL moments and true funny stories. 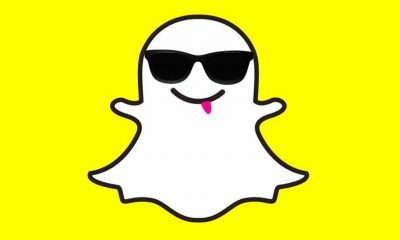 Follow it to get your every day portion of humour right to your Twitter news feed. You won’t believe, but the most vicious character of Harry Potter Sage became a comedian on Twitter! 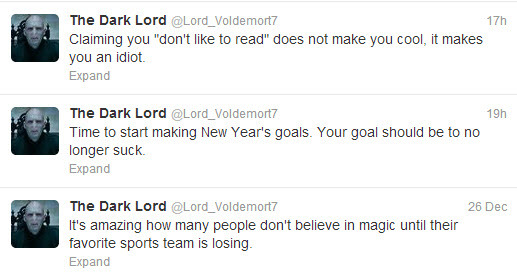 @Lord_Voldemort7‘s tweets are full of cynical humor and jokes at other popular movie characters. 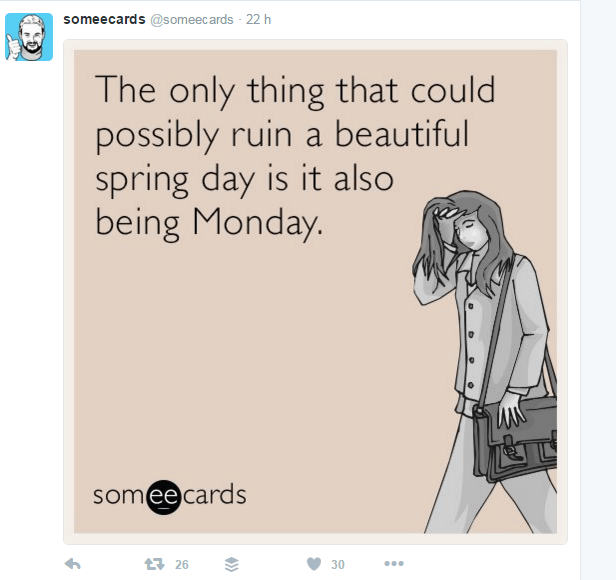 @someecards is a Twitter account of popular ecards site. Each day on Twitter, there are published the most humorous ecards made by site visitors. Girls often talk nonsense unconsciously. The creators of @ShitGirlsSay account know that very well and post the most humorous pearls that girls often say. 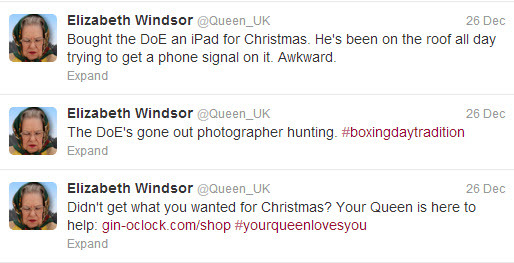 Unlike the official Queen UK account, this fake one has twice more followers, maybe due to the fact that this pseudo-queen doesn’t speak about official affairs, but allows herself jokes and self-irony. This funny account is dedicated to hilarious fails and ridiculously awkward situations which happen in everyone’s life. 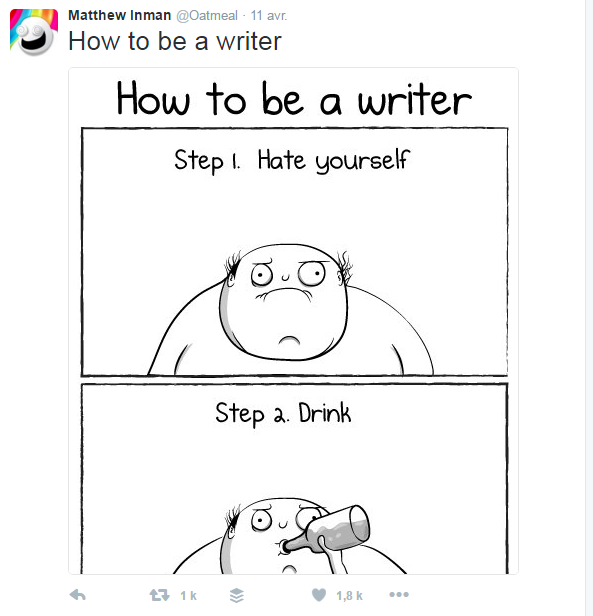 Matthew Inman, known on the Web and Twitter as @Oatmeal is a famous web designer who publishes funny comics on his website. The Twitter account announces about the release of a new masterpiece. In case you also see real faces in inanimate things, this Twitter account is just for you. 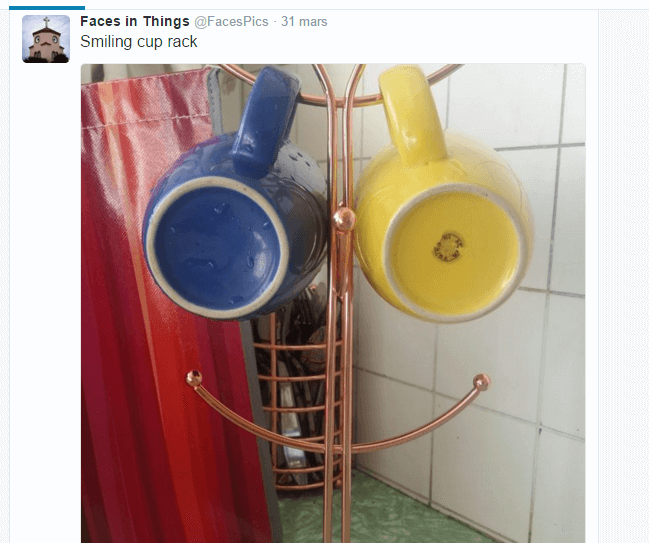 There are numerous pictures of things that look like faces. 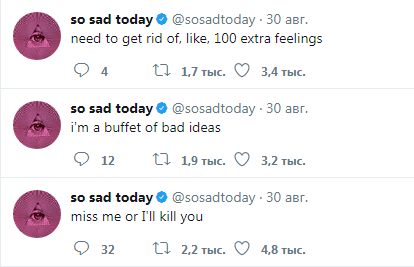 @sosadtoday is an account of a depressed but hilarious woman who complains about everyday routine and relashionship problems. Some of her thoughts are really epic. In case you’re far from London and don’t know the exact Greenwich time, follow @big_ben_clock on Twitter. Every hour, it tells the exact time by typing “Bong” so many times as many hours it is now. 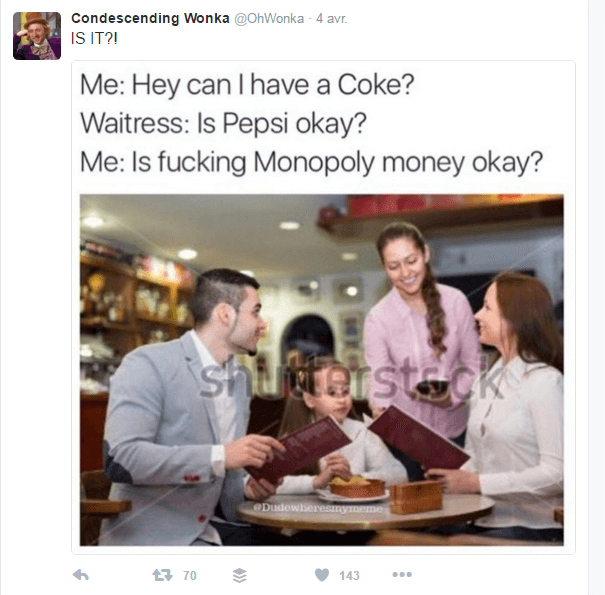 @OhWonka account is born from the famous Internet meme. This character is known for his sarcastic and patronizing captions. So he does on Twitter. @darthvader is not affiliated with the producers of Star Wars in any way. This is just another funny Twitter account which posts about things around Star Wars: toys, news, memes, funny discoveries, etc. 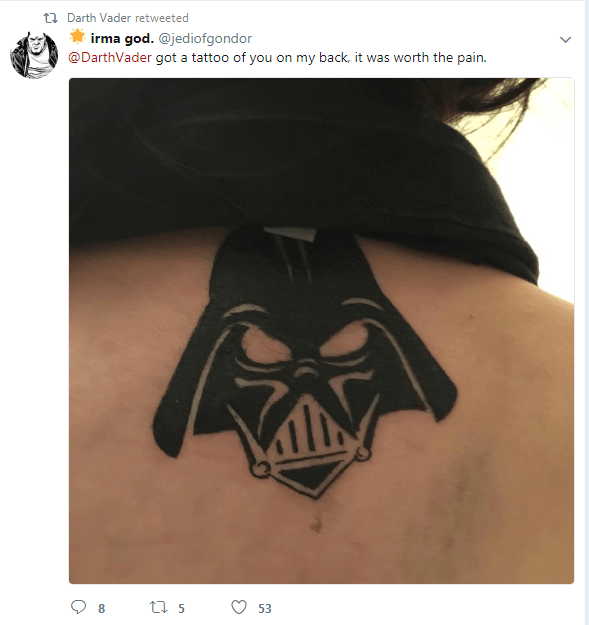 It’s amusing that people often boast of new tattoos on Star Wars motives and Darth really appreciates that. 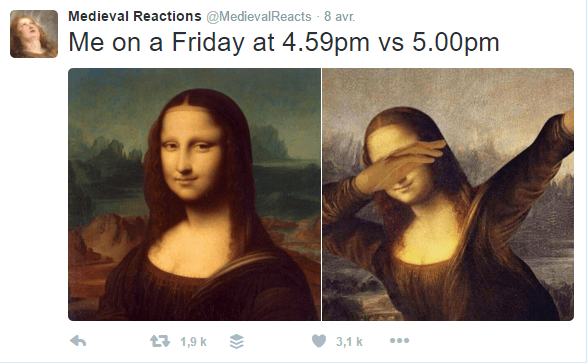 @medievalreacts is an account that features Medieval paintings with modern day stories and problems. 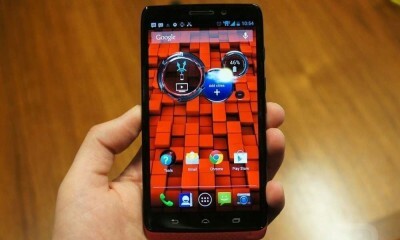 The result is really funny! 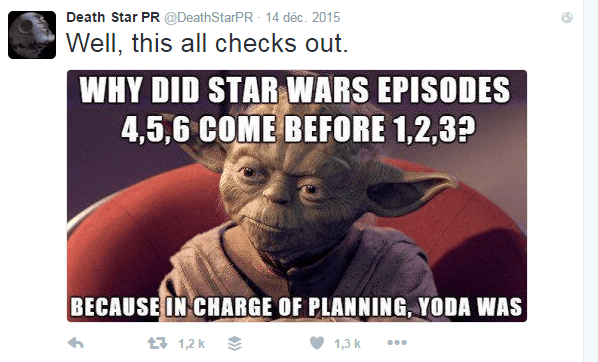 @DeathStarPR is for all Star Wars fans. This interesting account talks about everyday problems and how to solve them in the Jedi way. Various Star Wars related tweets are also available. 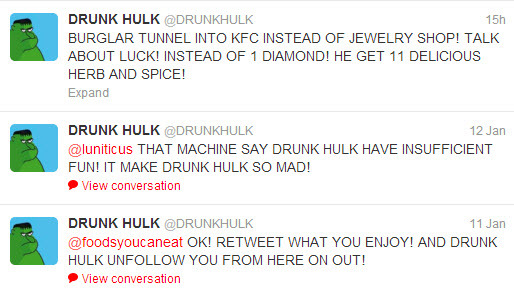 Chuck Norris is not only the epic character of popular Google searches, but of funny tweets as well. @Chuck_facts is an amazing example of good humor about all-mighty person. 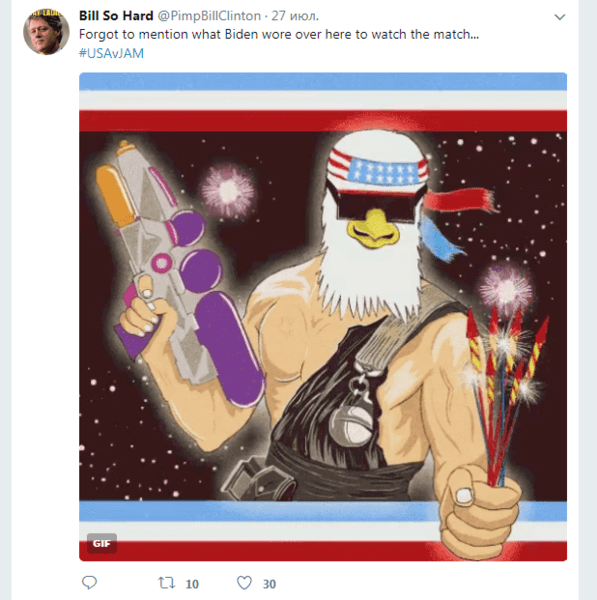 This fake Bill Clinton’s Twitter a must-follow account. 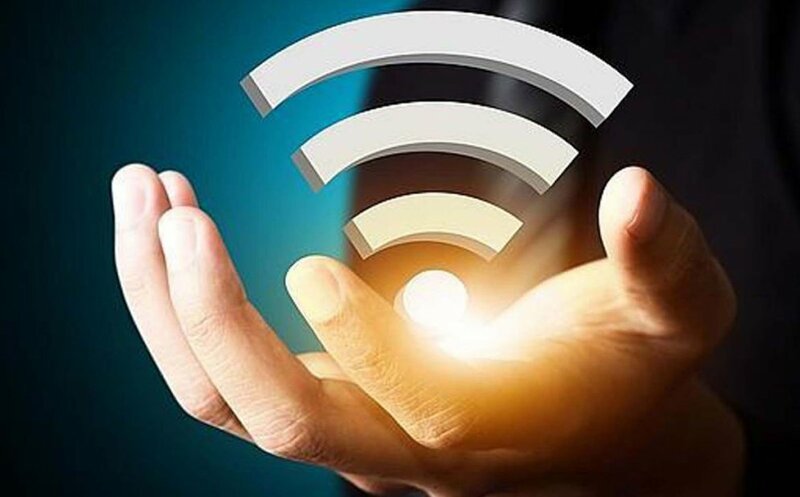 You will find here a bit of politics, some funny news and a great deal of inappropriate tweets. It’s interesting that this fake Bill often writes to real politicians. The famous movie character is represented on Twitter as a not-very-sober depressed personage who rants about daily routine, alcoholic drinks, and his poor life. 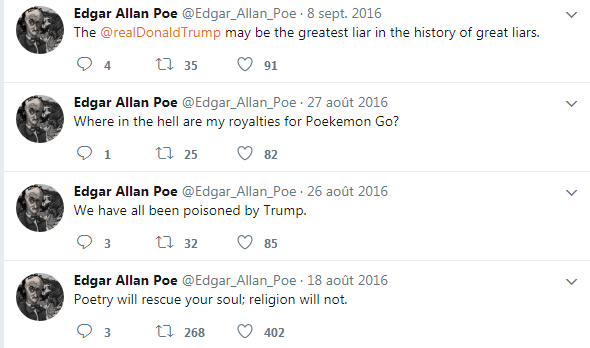 This greatest American poet and writer seems to have left his grave to tweet some very insightful thoughts. His tweets are full of modern humor and sarcasm. Follow this account to get a portion of wisdom to your Twitter thread. 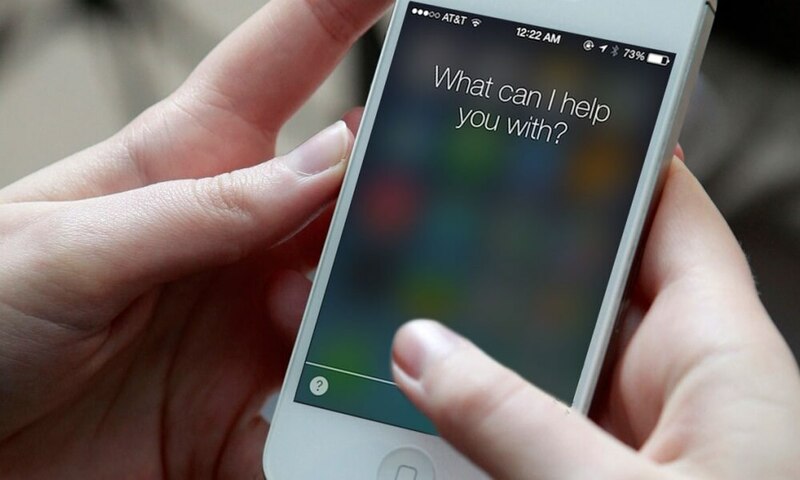 By the way, you can also launch a popular Twitter account with funny posts, images, or videos. Take in mind that Twitter accepts only MP4 videos under 2 minutes and 20 seconds in length. And what are your favorite accounts on Twitter? Share in the comments below.